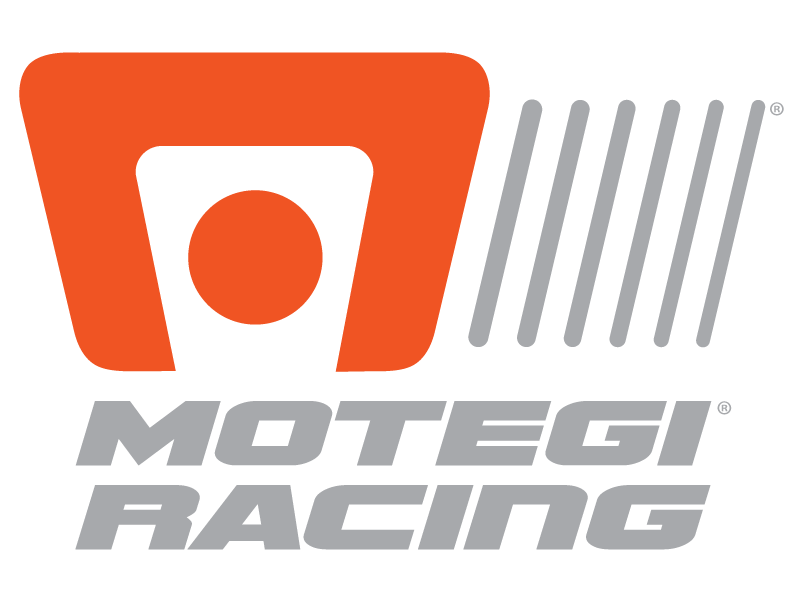 BOWMANVILLE, Ontario, Canada – It was a wild and crazy day for Motegi Racing wheels teams at the Mobil 1 Sportscar Grand Prix Presented by Hawk Performance Sunday at Canadian Tire Motorsports Park. • The No. 33 Riley Motorsports Dodge SRT Viper GT3-R recorded a stunning GT Daytona class victory with a bold pass for the lead on the next-to-the-last lap. • The Dodge SRT Viper GTS-Rs enjoyed a second straight double podium finish in GT Le Mans, and only a single incident prevented them from registering their first victory this year. • The developmental No. 07 Mazda Skyactiv-D Prototype finished a season best sixth. • Townsend Bell and Bill Sweedler retained the GT Daytona points lead despite an incident that cost them 45 seconds in the penalty box. Jeroen Bleekemolen drove the No. 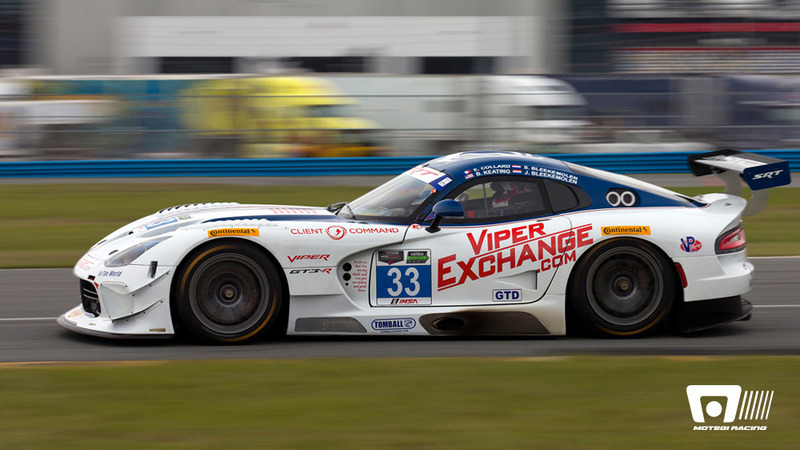 33 Viper GT3-R he shared with Ben Keating to the GT Daytona victory after making a strong, even bold, pass on the next-to-last lap of the race. In the final 27 minutes of the 2 hour, 45 minute IMSA Tudor United Sportscar Championship race, Bleekemolen made up an 11.4-second deficit. During that closing period, he set the fastest GTD race lap on consecutive laps and made up 3.3 seconds in those two laps alone. Then, in heavy traffic, Bleekemolen passed for the lead. Bleekemolen started on the pole and he and Keating battled near the front all day long. Kuno Wittmer put the No. 93 Viper on the GL Le Mans pole and was in contention all day for Viper’s first victory of the season. But in heavy traffic about an hour into the race, Wittmer got pushed off track by another car, lost the lead and fell into second place. He had been battling Jan Magnussen’s No. 3 Corvette C7.R, and Magnussen and teammate Antonio Garcia went on to post their fourth straight GT Le Mans victory. Wittmer and Jonathon Bombarito finished second, 11.024 seconds behind. Third in GT Le Mans was the No 91 Viper of Dominik Farnbacher and Marc Goossens. It marked the second straight race the Vipers finished second and third. They wound up thirteenth but retained the GT Daytona points lead, even if it is smaller than when the day started. Bell and Townsend entered the race with a 15-point lead, and left Canadian Tire Motorsports Park with a three-point over No. 44 Magnus Porsche 911 GT America drivers Andy Lally and John Potter, who finished ninth. Leh Keen and Cooper MacNeil, drivers of the Motegi Racing wheels-equipped No. 22 WeatherTech/Alex Job Racing Porsche 911 GT America, finished fifth and closed to within seven points of the points lead. Among other Motegi Racing wheels-equipped GT Daytona entries, the No. 23 Team Seattle/Alex Job Racing Porsche 911 GT America of Ian James and Mario Farnbacher finished sixth in class, Patrick Dempsey and Andrew Davis finished eleventh in the No. 27 Dempsey Racing Porsche 911 GT America, and the No. 63 Scuderia Corsa Ferrari 458 Italia of Phil Westphal and Alessandro Balzan retired with mechanical problems. The No. 07 SpeedSource Mazda Skyvactiv-D prototype of Joel Miller and Tristan Nunez posted the developmental team’s best finish of the season, sixth. The No. 70 team car of Sylvain Tremblay retired after only 23 laps due to a water pump belt failure.